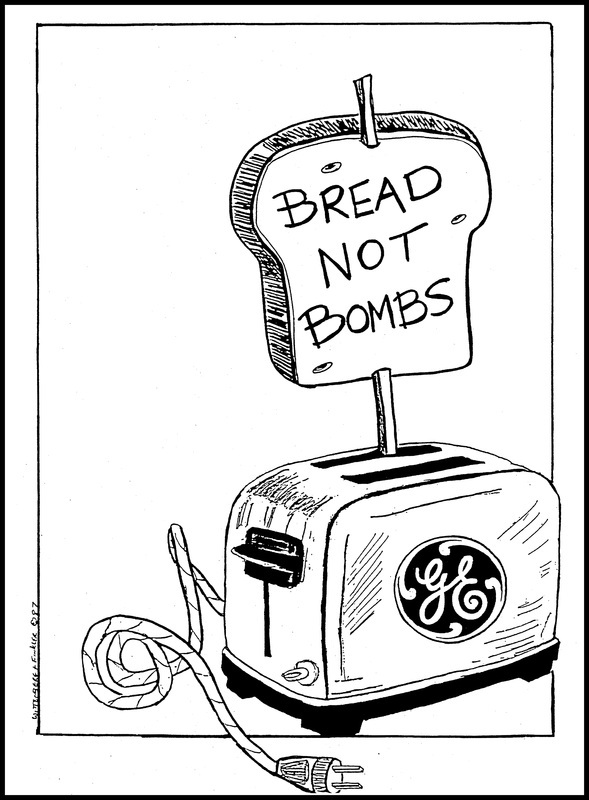 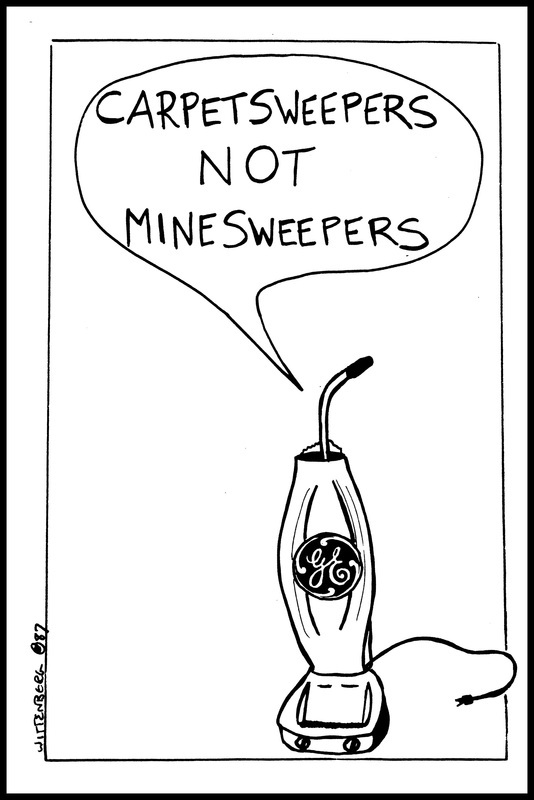 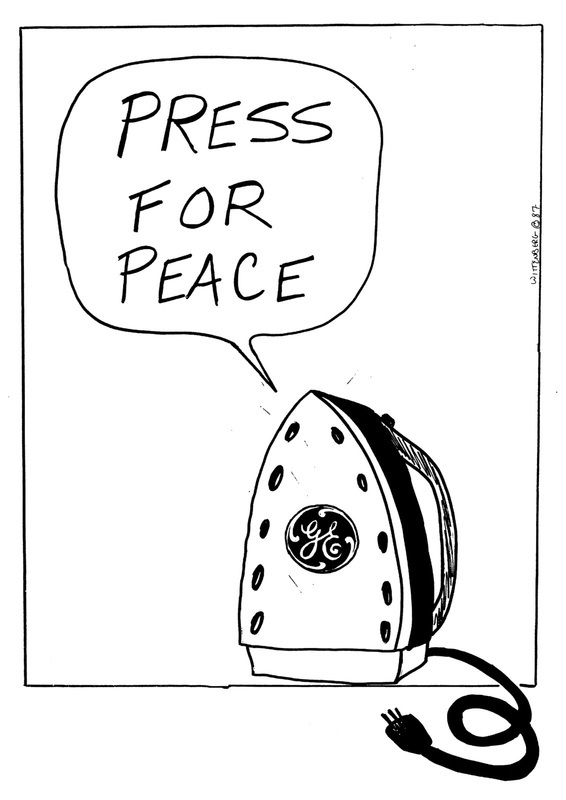 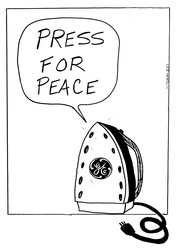 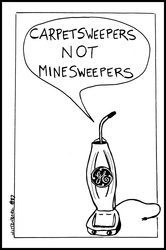 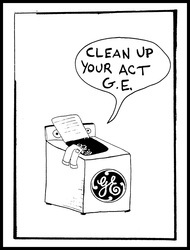 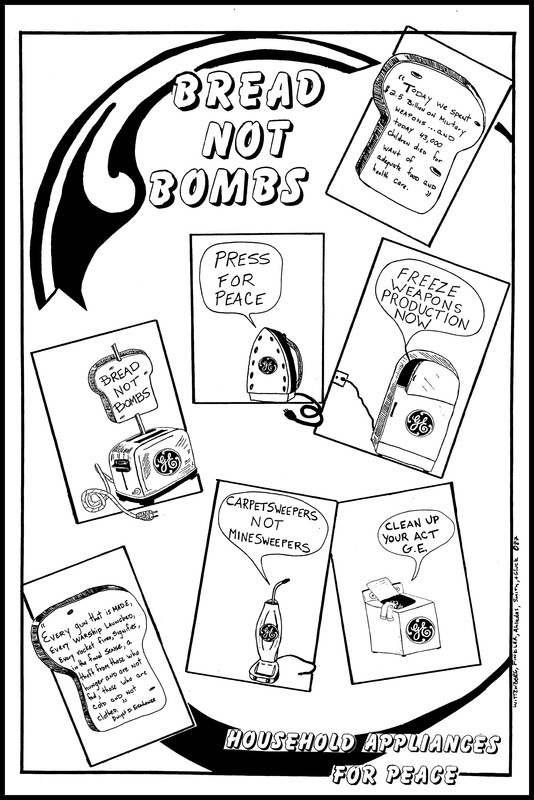 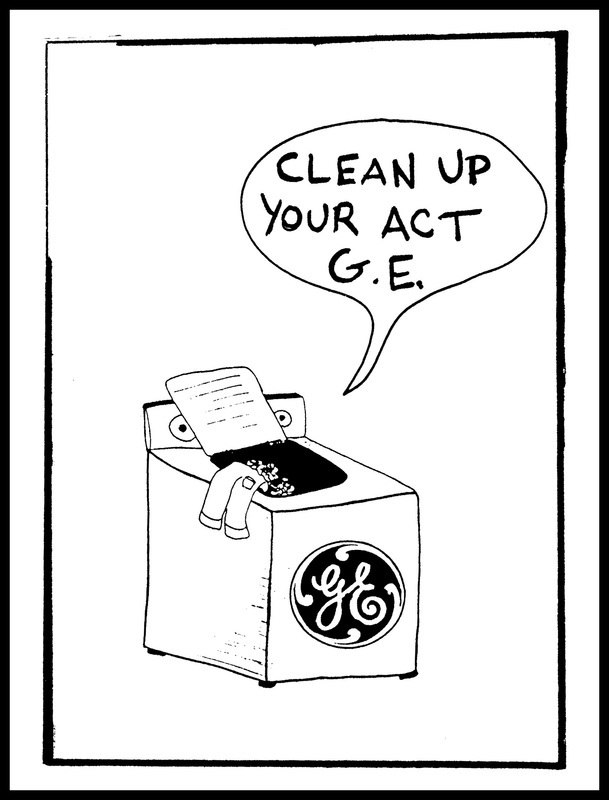 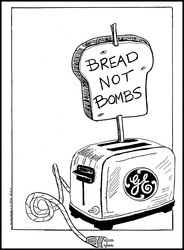 Appliances for Peace was a project designed to protest the manufacture of weapons at the General Electric Plant in Burlington Vermont in the mid 1980's. The idea of the action was to block the entrance to the plant with discarded appliances...something of a variation on the swords into plowshares idea. 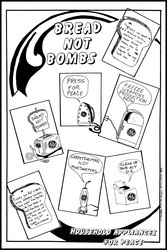 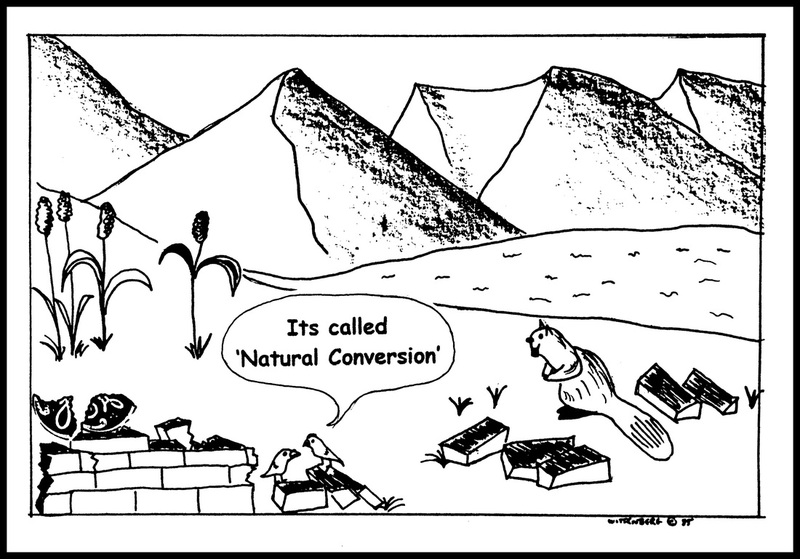 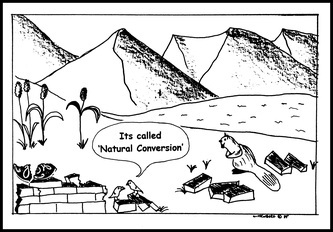 The following cartoons were the product of the planning of this action. 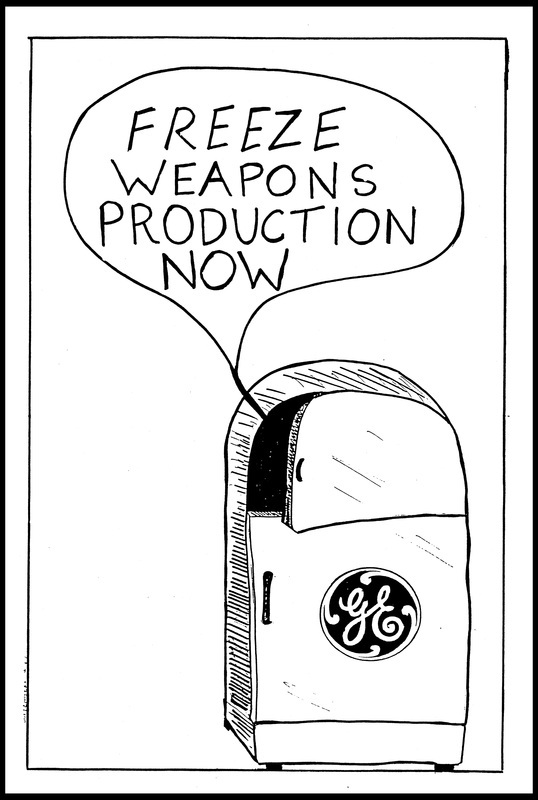 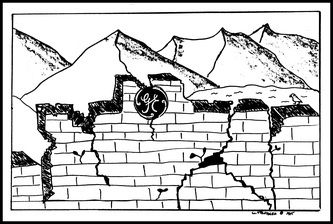 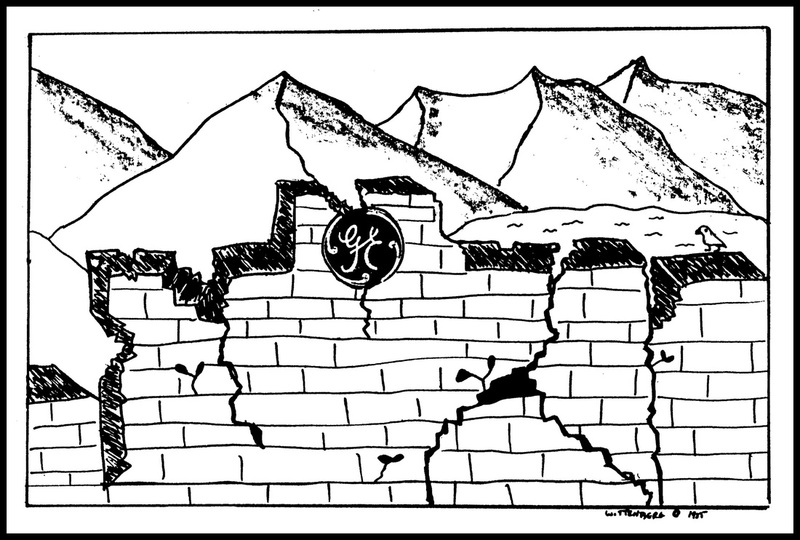 Although we never did block the entrance to the plant, there were many actions that took place at the gates to underscore the disparity between the General Electric motto "We bring good things to life" and the weapons production on site.